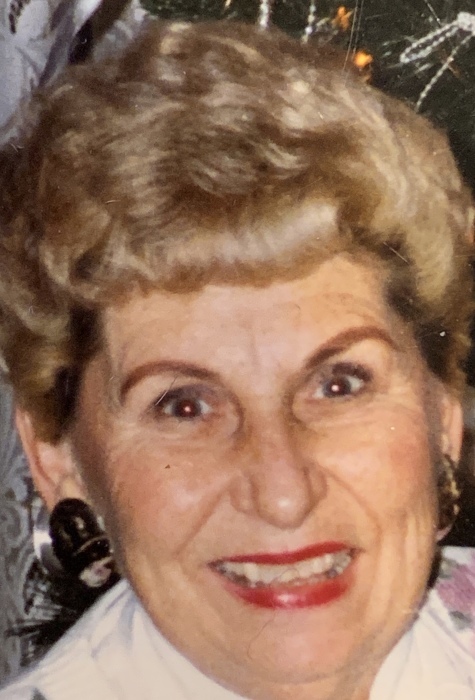 Obituary for Eloise "Bonnie" M. Mellott | Heller-Hoenstine Funeral Home, Inc.
Eloise M. Bonnie Mellott, 89, of McClure, went into the loving arms of her Lord and Savior Jesus Christ on Thursday, March 7, 2019, at Geisinger-Lewistown Hospital. Born Jan. 22, 1930, she was a daughter of the late Charles A. Hockensmith and Ethel LeQuea. In addition to her parents, she was preceded in death by: a sister, Lorraine G. Harpster; and a half-brother, William Hockensmith. She is survived by: her loving husband of 69 years, William T. Mellott, of McClure; sister, Peggy Jean McCartney, of Burnham; half-brothers, Charles A. Hockensmith Jr. and wife, Susan, of Hanover; John T. Hockensmith and wife, Jeannie, of New Oxford; Harold Hockensmith and wife, Terry of Hanover; nieces, Holly Ellers and husband, Rich, of Centre Hall; Jill Knepp and husband, Neil, of Reedsville; Carolyn Gregg and husband, Gary, of Shippensburg; Kitty Walters and husband, Wade, of Burnham; a nephew, Michael McCartney and wife, Kathy, of Burnham; and beloved friend, Neita Knepp, of McClure. Bonnie was a 1948 graduate of Yeagertown High School. She was a member of St. Mark’s Evangelical Lutheran Church, of Alfarata, where she sang in the choir and played in the bell choir. She belonged to the Beta Sigma Phi Sorority and was part of the Stone Arch Players. Bonnie worked as a bank teller for 36 years and was employed by Russell National Bank and Omega National Bank. Bonnie enjoyed family gatherings, her friends, pets, and traveling in their RV, gardening and her church. A receiving of friends will be held from 10 to 11 a.m., Saturday, March 23, 2019, at St. Mark’s Evangelical Lutheran Church, 573 Alfarata Road, Lewistown, with a memorial service to follow at 11 a.m., with the Rev. Michael Sigler officiating. In lieu of flowers, memorial contributions in Bonnie’s memory may be made to St. Mark’s Evangelical Lutheran Church, 573 Alfarata Road, Lewistown, PA 17044.